In today’s day and age, when every brand wants to make its online presence strong and is boarding the e-commerce bus in a hurry, Nicobar is leading the league to make retail the talk of the town. Quite literally. Born out of Good Earth, Nicobar was created to give customers a store that felt like home. And that is what the Bandra space is — a home. The second Mumbai outpost of the brand is beautiful. The 1,200 sq. ft. space is situated inside the famous Patkar Bungalow, which is about a century old, adding an aura of evergreen lineage to it. The vintage vibe comes from the archways, thatched sloping roofs, and white shuttered windows. Once in, the 7-room store tells you a different tale with every step you take. As you move from one cosy nook to the next, you’ll find it impossible to pick a favourite corner. Gorgeous high ceilings with whitewashed walls welcome you as you begin your journey into this haven. There is a homeware room inspired by a potter’s studio, where you can play around with the cushions and stack everything on the shelves provided, just to see what your space would look like with Nicobar’s understated products. Then you move on to the Traveler’s Room that overlooks palm trees, giving you the perfect view to sit down and get comfortable with a book. Yes, there is a library here with a community table, which gives you the opportunity to discuss ideas or just chat with friends. The essence of the brand’s stylish yet comfortable clothing resonates through the style rooms, for both men and women. 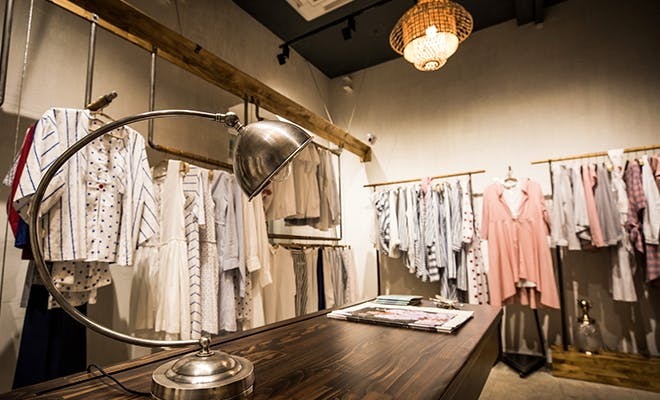 The menswear room is a man cave — a blue wall hand-painted with a cat and stars, barware displays, and a styling area — and the womenswear room houses personal styling racks, and a long table to let the creativity flow. For those who want to give their thoughts some life, there is a writer’s station with wooden desks and stationery that will make the entire experience that much more joyful. Use the post box to mail bae some love notes, or use their iPads to get some trendy fashion advice — whether your outlook is modern or you’re an old soul, there something to tug at everyone’s heartstrings. And stroll to the gifting section to pick up the best for those who matter, and knowing Nicobar and its offerings, you needn’t worry. Wooden furniture, classic yellow lights, a candle kept here and there, charming plants, an old-school typewriter, and a Pablo Neruda quote to liven your soul — the Nicobar store is Bandra is for those who appreciate the quieter things in life.